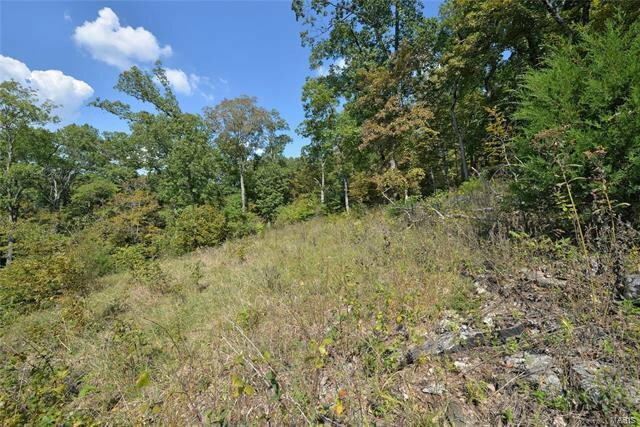 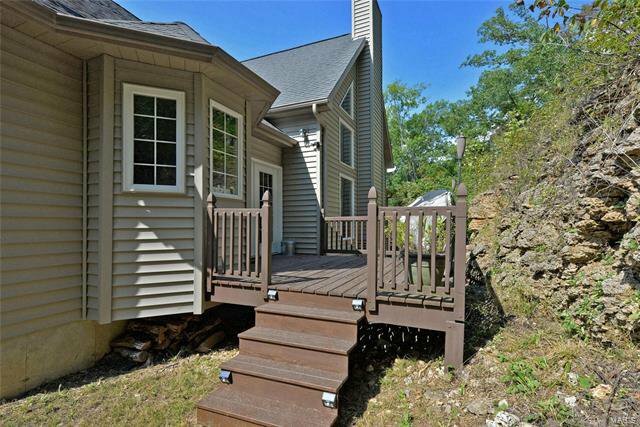 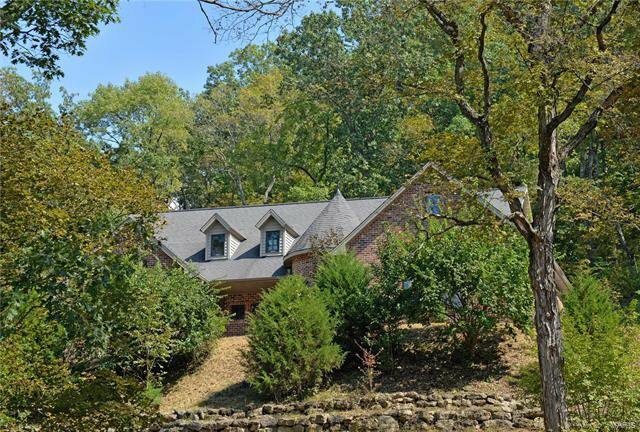 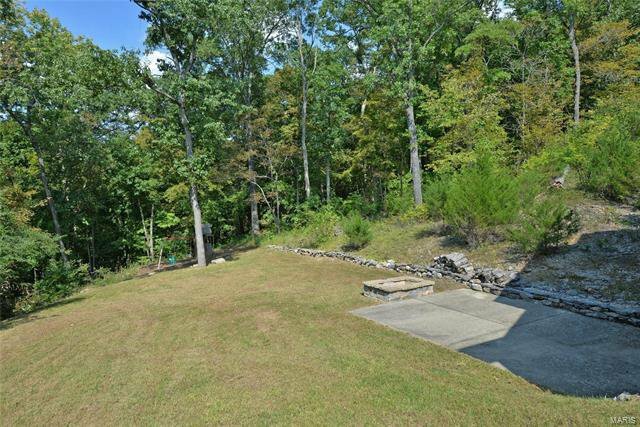 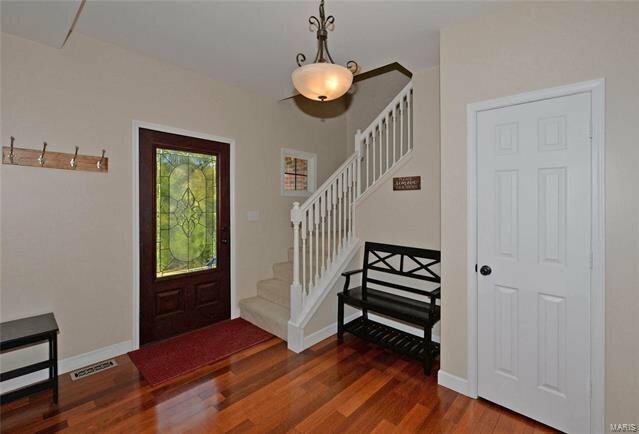 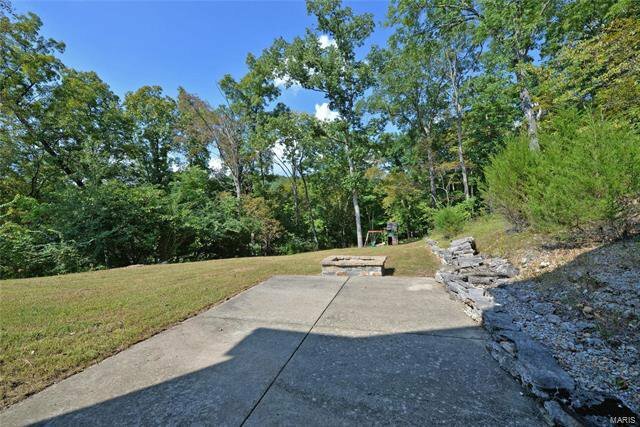 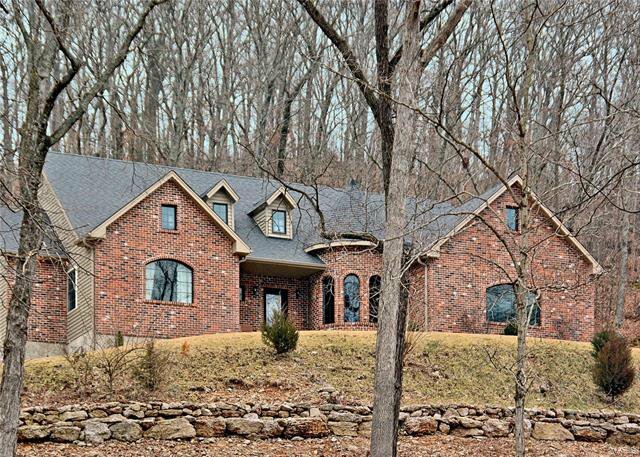 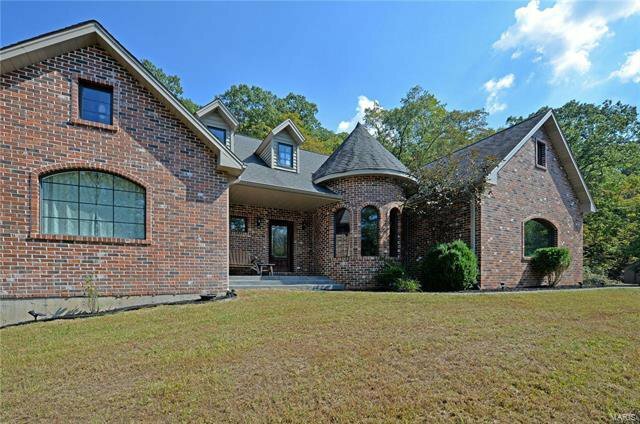 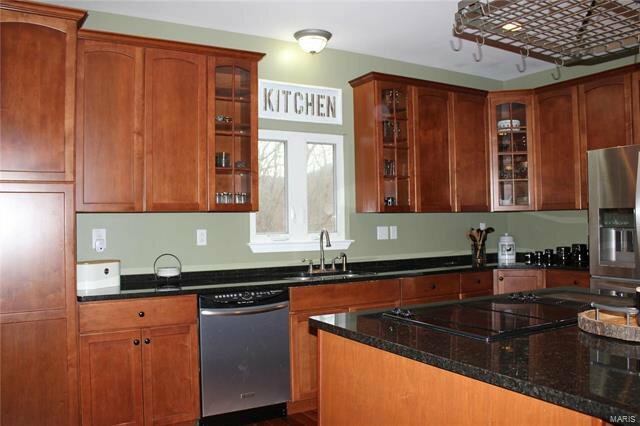 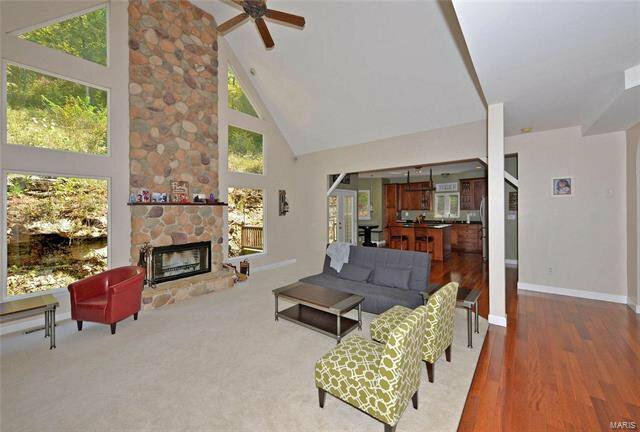 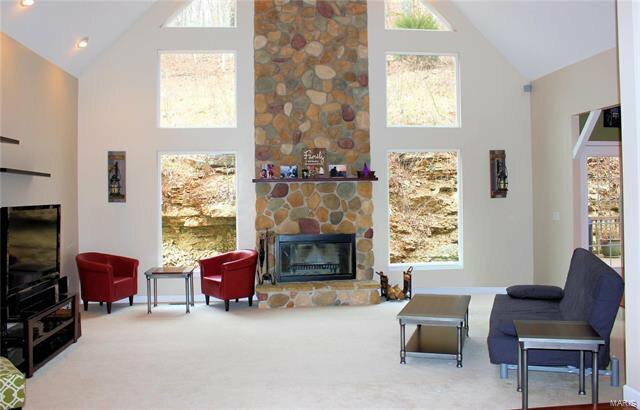 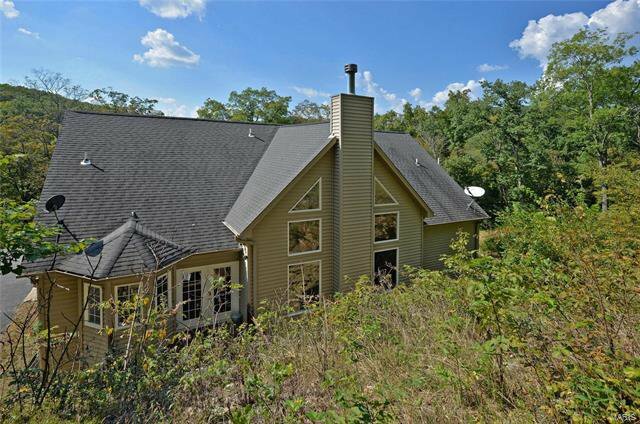 Custom 1.5 Story Walk-out on 4 wooded acres. 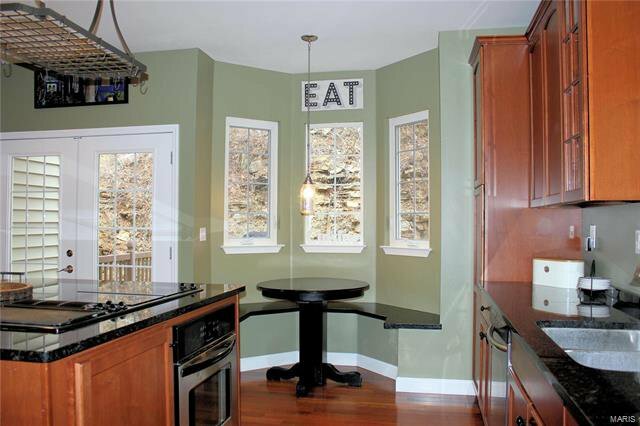 Looking for a home with character? 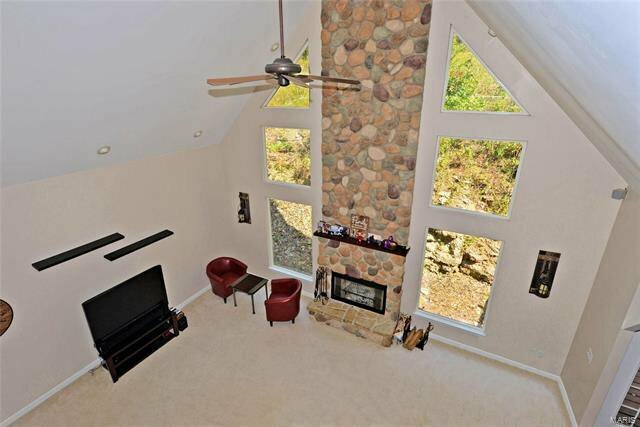 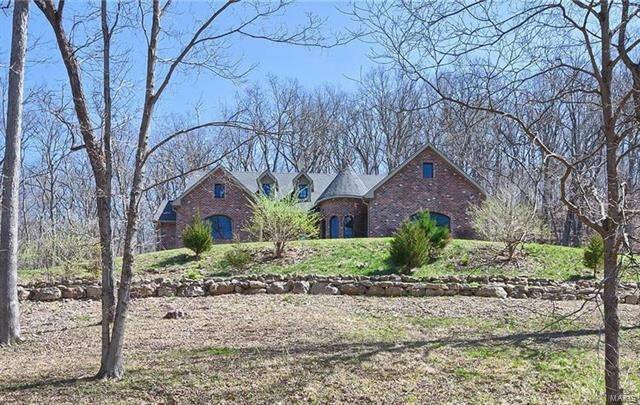 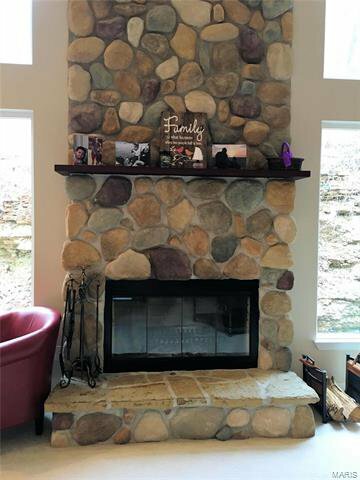 You found it...from its unique arched windows to a turret style DR. Open floor plan features step down 2-story vaulted GR w/stone Fireplace centered between floor to ceiling wdws w/views of natural rock outcroppings & wooded bluff. 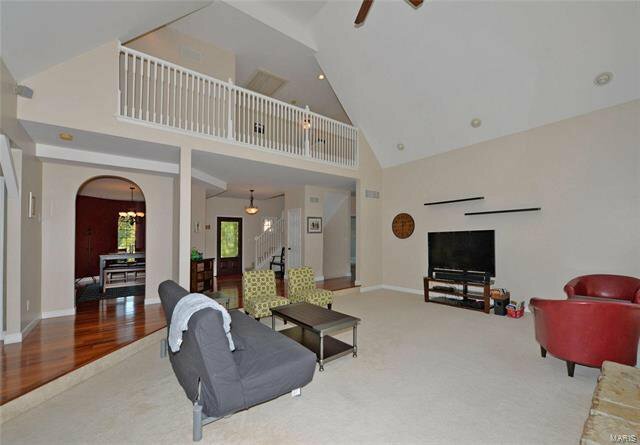 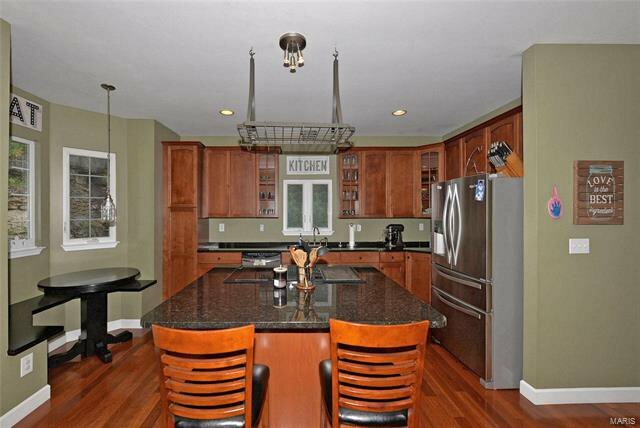 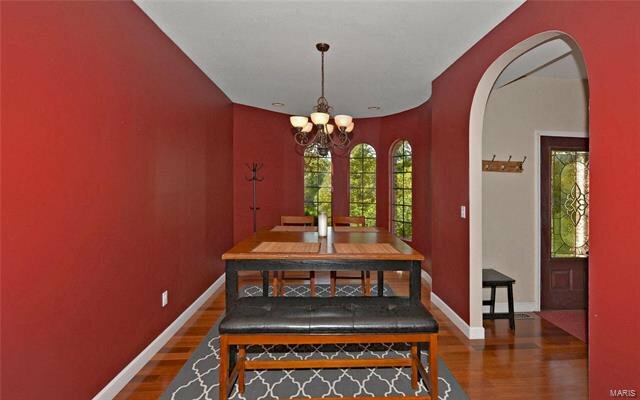 GR is open to eat in Kit w/42" maple cabinets, beautiful hardwood floors, S/S appliances, center island/breakfast bar, granite counters, dining alcove w/bench seating, & french doors to back deck. 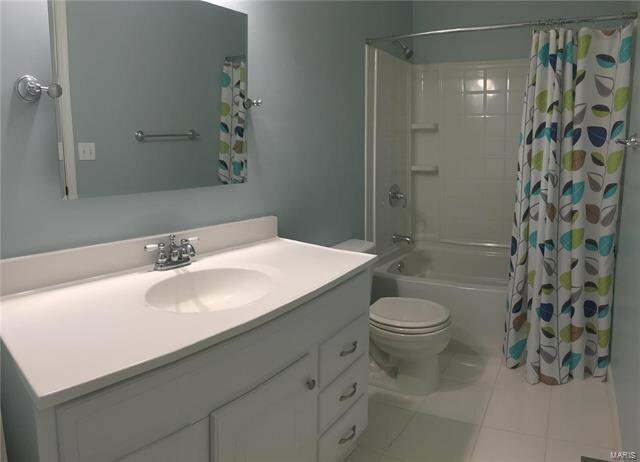 Arched openings grace the Formal DR. Main Floor MBR Suite features bath w/ceramic tile floor, double sink, jetted tub & separate shower. 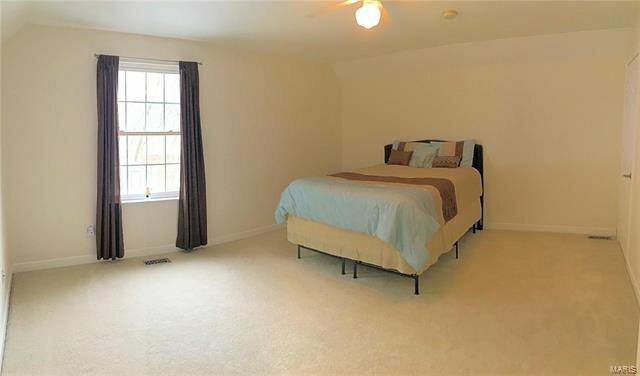 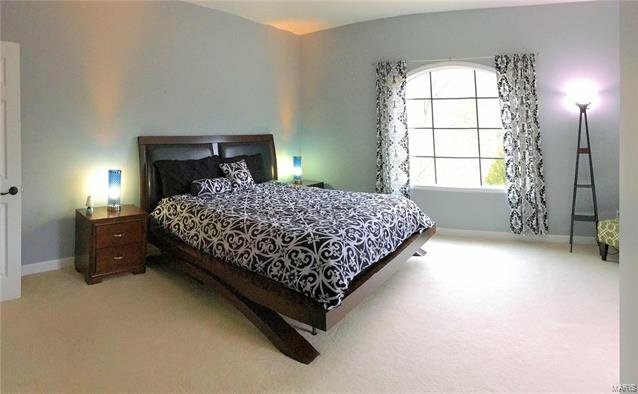 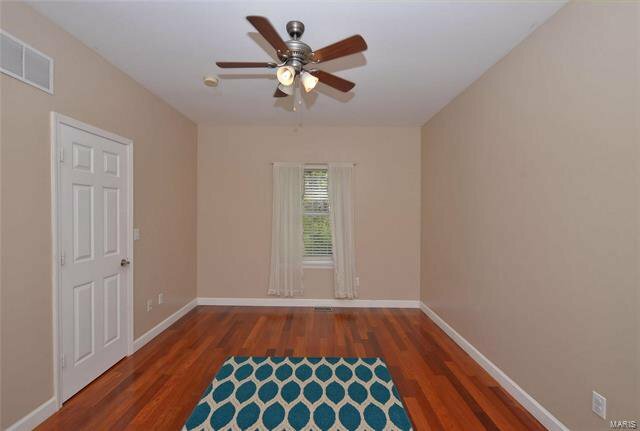 The 2nd main floor bdrm/office & powder room feature glowing hardwood floors. 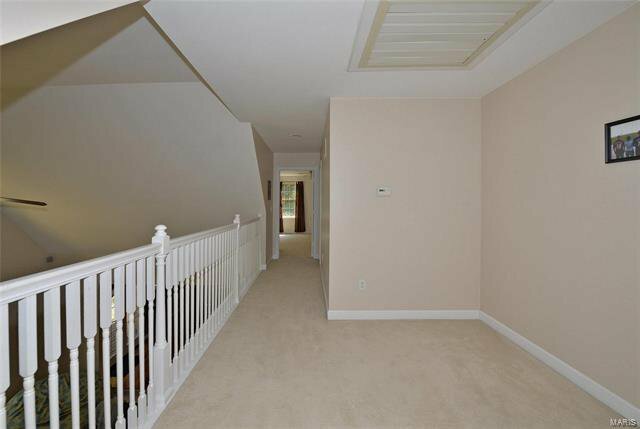 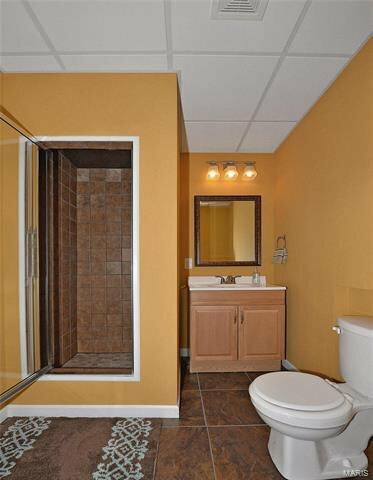 Upstairs you’ll find bdrms 3 & 4, 2nd full bath & balcony area overlooking GR. 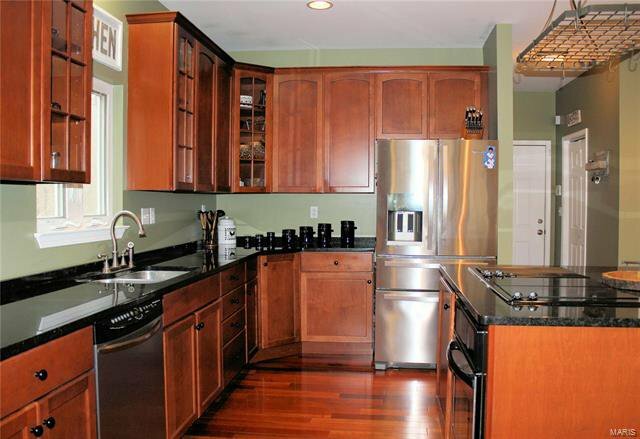 LL finished w/huge FR w/recessed lighting, wet bar, and 3rd full bath. 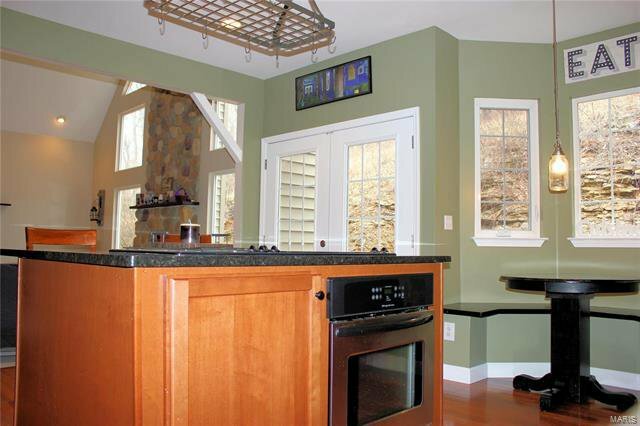 French doors walk out to 24 x 24 patio. 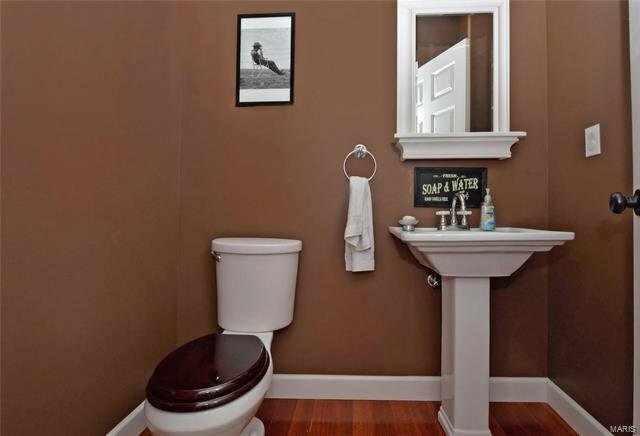 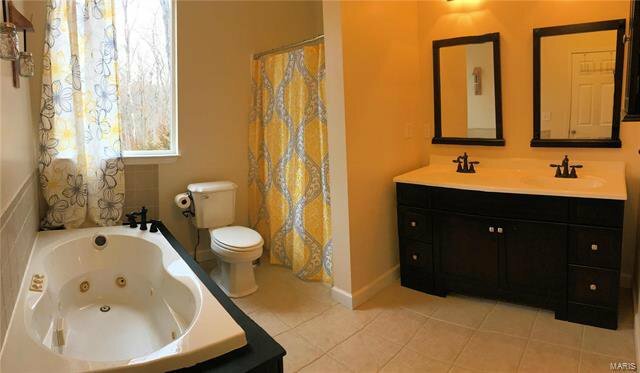 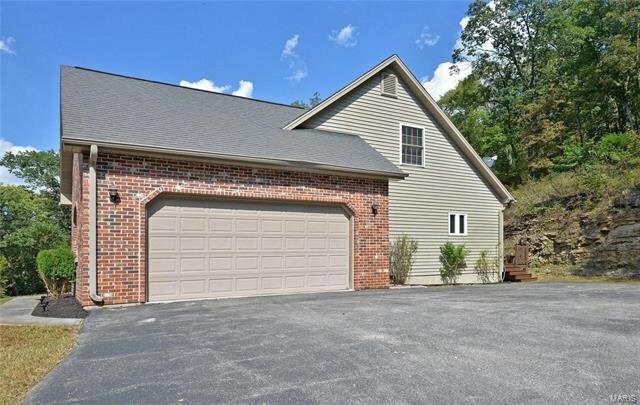 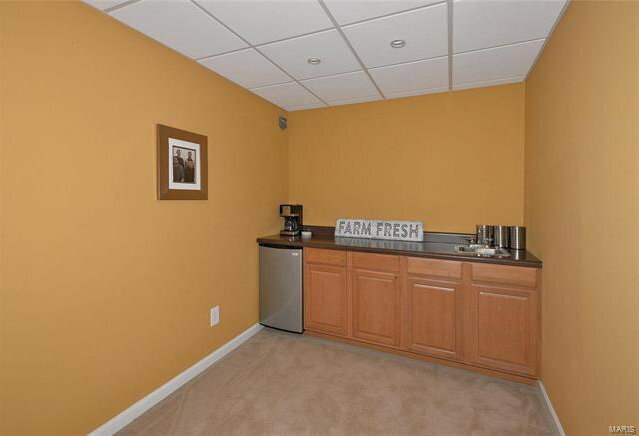 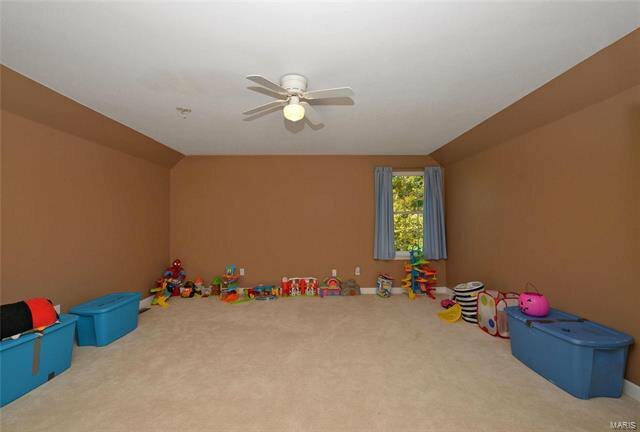 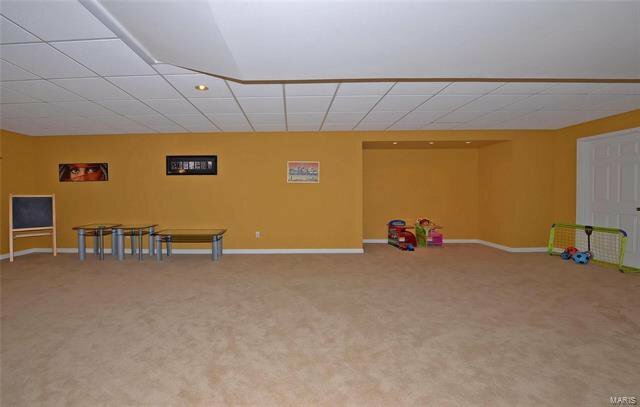 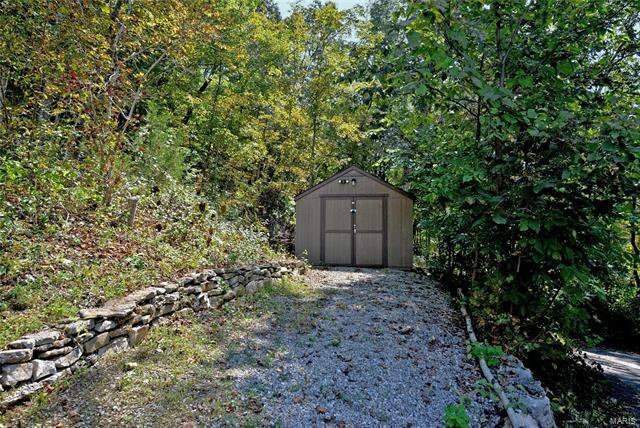 Additional amenities include double garage, storage shed, sprinkler system & fire pit.